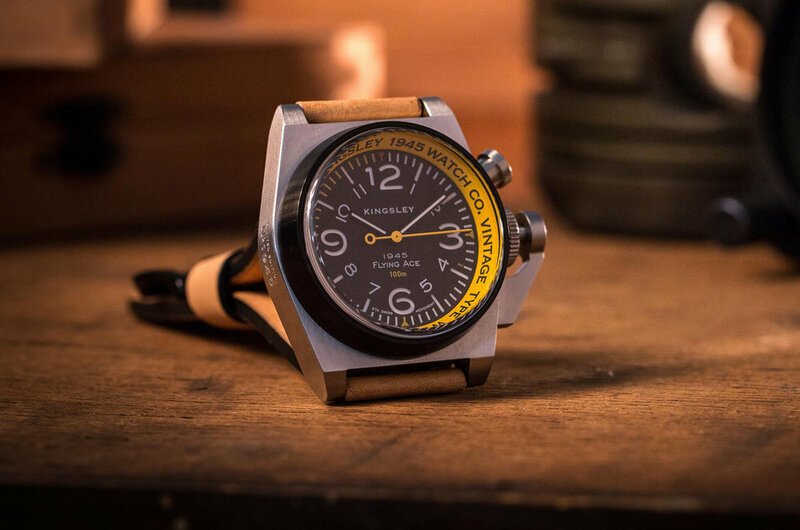 Out of the cellar of an old WW2-era foundry known as the Browne & Sharpe Company, Kingsley set out to transform objects from our military past into a compelling timepiece that told its own story. He created a watch prototype using WW2-Era aircraft and vintage movement parts that he bolted to straps cut from worn leather bomber jackets. Every Kingsley Watch Is Packaged In Our Iconic Handcrafted Vintage WW2 Inspired Aged Cigar Watch Gift Box.